Hopefully new drivers fix the issue. I’m not quite through Lara Croft’s second/eleventh adventure yet, so you’ll have to forgive me for not having a full-blown Rise of the Tomb Raider review ready today. On the other hand, the game’s been out on the Xbox One for two months now, so you’ve undoubtedly heard it’s mostly more of the same compared to the 2013 Tomb Raider reboot. Specifically, it’s: 1) Very pretty to look at. 2) Very similar to Uncharted. 3) Kind of shooty. 4) More fun when you’re not shooting things. 5) Did I mention it’s very pretty? It’s that last category I’m going to focus on today. 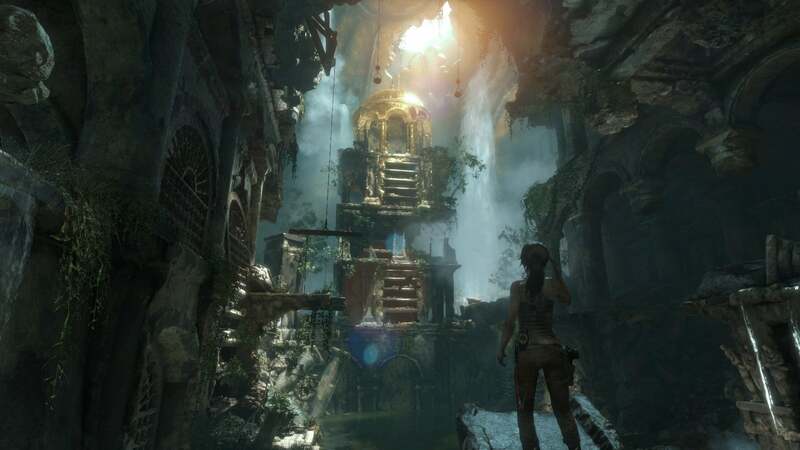 Rise of the Tomb Raider’s jump to PC brings with it a whole new slew of graphical whizbangs to tweak, from the springiness of Lara’s hair to the way trees blow around in the wind. There are lots of things moving in this game, which can be pretty impressive when everything’s moving along at a smooth clip. Unfortunately—well, actually there are two unfortunatelys to discuss here. 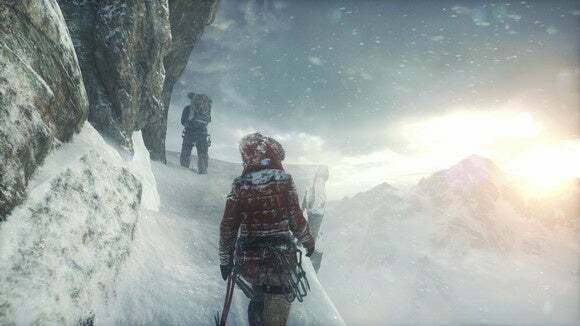 First and foremost: Rise of the Tomb Raider was built in partnership with Nvidia, and I’ve no idea whether some of its technical feats are exclusive to Nvidia cards. I was testing on a GeForce GTX 980 Ti so I cranked everything to maximum, but AMD users should be aware that this is not an AMD-backed game. And that’s important, because the 2013 Tomb Raider was used as an AMD showcase for TressFX, and up until this week I honestly thought the series was still tied to Team Red. Which brings us to our second point: drivers. Nvidia is supposed to have a Game Ready Driver prepped for launch, but I haven’t been testing on it. Using the currently available drivers (361.43) I’ve seen some major slowdown in some of Rise of the Tomb Raider’s larger environments. Drops from 100+ frames per second down to 40-45 are common, and are often accompanied by some distracting microstutter. Changing the settings doesn’t seem to have any effect. As far as I can tell, the issue resides in the aforementioned dynamic foliage. The biggest problems seem to occur in a locale known as the “Geothermal Valley,” a large wooded area with numerous swaying trees. Look at the trees, the frame rate drops. Turn the other direction, it shoots back up again. That’s on a 980 Ti, but a friend of mine is running an R9 280X and tells me he experiences the same issue in the same place. Hopefully it’s just a driver issue, as I said—the Tomb Raider performance results Nvidia’s touting on the GeForce blog don’t show crippling stutter, and it specifically calls out a metric that measures stutter. I’ll grab Nvidia’s latest as soon as they go live and update this story accordingly. And AMD users, hopefully your drivers are right around the corner. UPDATE, 2:00 PM Pacific: I’ve installed Nvidia’s Game Ready Drivers and it helped a bit, but didn’t completely eliminate the stuttering. The Geothermal Valley continues to display precipitous drops in frame rate, falling from around 100 down to 55. Tweaking the Level of Detail down a notch gained me back five frames (bringing it to a slightly-stuttery 60), but be aware that even a high-powered rig might show quite a bit of slowdown in these larger areas regardless of how the rest of the game runs. And I still don’t know when AMD drivers will release. Hopefully they’re not too far off.